The Google service is getting better and better, recently Google announced that you can work with any file, on any device, any time with new Docs, Sheets, and Slides. 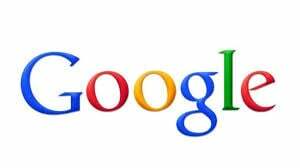 Google have also made it easier to edit Microsoft Office documents within your email account. Sometimes people send you files and you need to be able to open them, make some edits, and send them back. If they don’t use Docs, Sheets and Slides it can be a challenge. So what can you do, you can convert Office files to Google in one click streamlining the editing process. With just one click on the new edit icon in Gmail attachments, you can automatically convert Office documents – giving you the additional benefits of a single document to keep track of, access from anywhere (even offline! ), and revision history. Google has added 15 new supported Office formats, you can now import 15 new Office formats — including presentation show files (pps, ppsx), macro-enabled files, and template files — all with improved charts, images, and tables support! The new Docs, Sheets, and Slides allows you to work on any document, at any time, on any device, both with and without an Internet connection. Mobile apps for Docs, Sheets and now Slides allow you to create and edit files on the go, even if you’re offline. The updated mobile apps for Docs, Sheets and Slides come with Office editing built right in, and with the Google Chrome extension you can edit and share files directly from Google Drive, Gmail or from your Chromebook, where the extension is pre-installed. Of course, if you want to collaborate seamlessly with others at the same time, simply convert the files to Docs, Sheets or Slides. People like the collaboration option, working together in one place, rather than making edits and giving feedback by emailing multiple versions of the same document. With the Suggested Edits in Docs anyone with commenting access in Google Docs on the web can collaborate and comment. With mobile apps for Docs, Sheets and Slides, you know have the ability to edit and share Office files, and a brand new way to collaborate with Suggested edits. Try it today and let me know what your thoughts are.